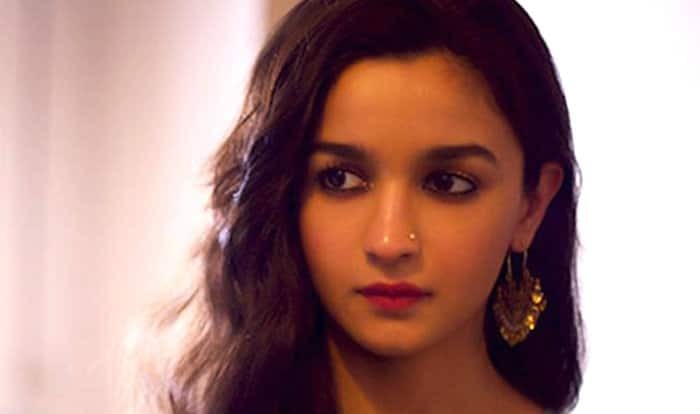 Alia Bhatt is one of the most extraordinary woman in Bollywood. Alia is only 24 years old and she has achieved so much at that young age. She started off with ‘Student Of The Year’ in 2012 and there was no looking back. She has chosen off-beat roles and redefined what a Bollywood actress is supposed to be. Only one film has failed to create magic at the box office and in that too, she was a breath of fresh air. Failures are inevitable, you have to face them. The rollercoaster is meant to go upwards and downwards. You can’t really escape it and that is why you deal with it on your own and at your own pace. Vikas Bahl’s ‘Shaandar’ starred Alia Bhatt and Shahid Kapoor in the lead. It was a box-office dud. Recently, at Shah Rukh Khan‘s TV show Lux Golden Divas- Baatein with the Badshah. Alia was at her candid best and King Khan is known for being the charmer. So, he went ahead and asked her about how she felt about her journey. She started with how she chooses the roles that challenge her and how she loves being out of the comfort zone. Shah Rukh asked her about that one thing that she has learned. She spoke about how ‘Shaandar’s failure affected her. She revealed that she has always been a secretive person and at that moment she spoke to her father about the movie, not fairing well. The beauty is surely a lot more than she seems. Later, Gauri Shinde too joined the show and she is a delight to watch. If you want to see the full interview, visit here.